Cruising. It is many different things to many different people. When I was younger I never really understood the attraction. However now that I have done a few (very few, 3) I certainly know what things I really enjoy and what things irritate me. One of the best things is perspective. Whether it is views of cities or coastlines that you normally don’t get an opportunity to see, or the vast expanse of water in every direction that truly makes it clear what a tiny speck each of us occupies in this amazing world. The first view we saw as we entered our stateroom on the Celebrity Solstice. 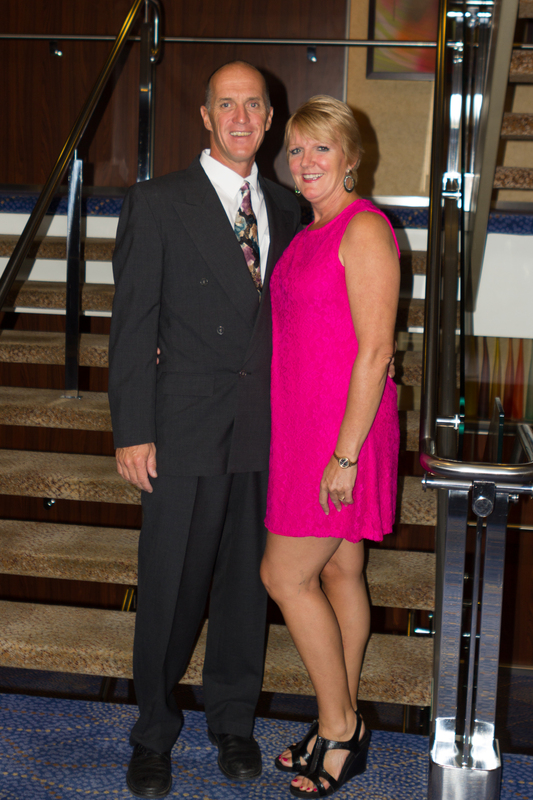 This is our second cruise on a Celebrity cruise ship. 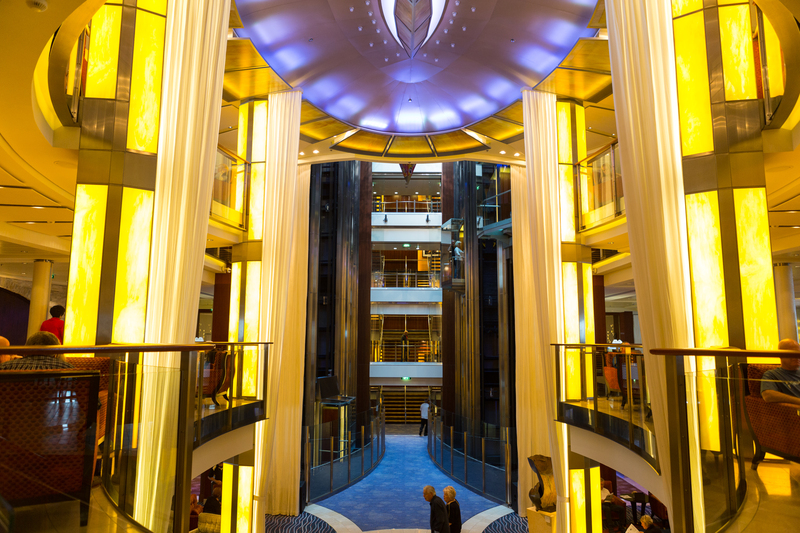 Our last cruise was a trans-Atlantic cruise on the sister ship to this one. Having a room with a balcony is something that is very important to us, especially on longer cruises. The views from your balcony every day are truly breath taking. After an effortless boarding process in Vancouver, Karen and I settled into our stateroom at the back of the ship, with my mother and sister moving into the room beside us. We all enjoyed a beautiful exit from the Vancouver harbour with the oceanside view unfolding in front of us. In the past I must admit I have been shortchanging Vancouver on the beautiful views it can provide. It was awesome. Our last view of Canada as we head to open seas. It was nice to see the flag flying. 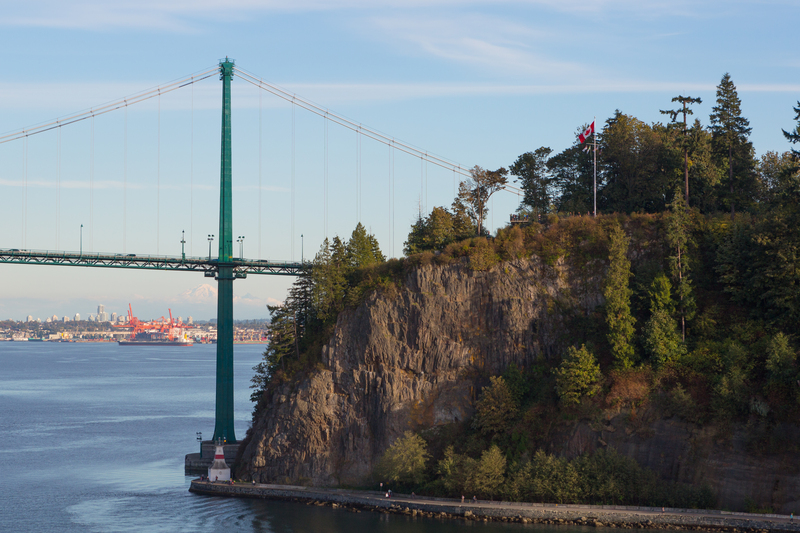 As we passed under the bridge exiting the Vancouver harbour it was a bit of an emotional moment seeing the Canadian flag slowly disappear from view as we made our way out to sea. Every new adventure seems to bring a wave of feelings, both sad and uplifting. All dressed up and ready for our first formal night dinner. One of the other wonderful things about cruise is the food. Though the buffet area is most things I dislike about cruise ships, i.e. the crowds, gluttons, and frenzy. I have to admit the quality of the food was very good to excellent whenever we had breakfast or lunch there. For us the amazing food was in the dining room. We never bothered with the specialty restaurants as, quite frankly, the food and service were excellent in the dining room and I never considered it necessary to fork out a premium of $50US a head to go to a specialty restaurant for dinner. A lesson on preparing the perfect steak by the Executive Chef Sauer. After taking in a couple of talks on preparing perfect steaks (never use barbecue sauce) and fish. 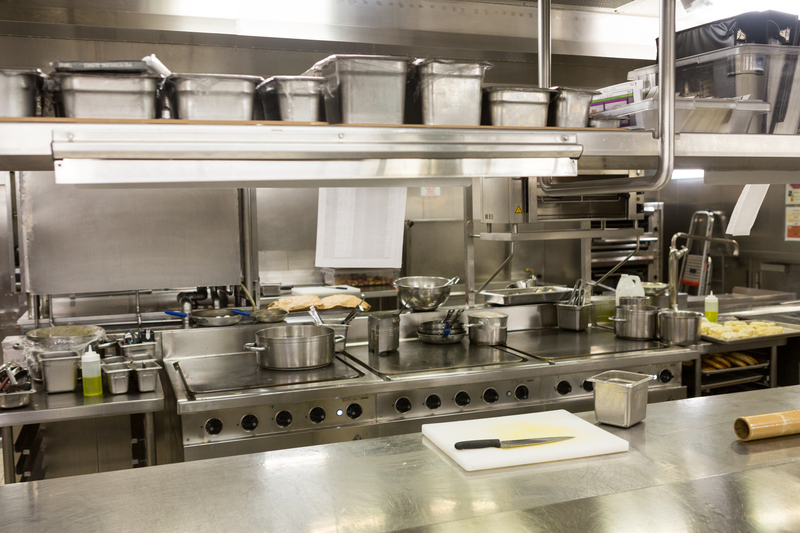 As well as having a tour of one of the kitchens and seeing the detail and thought that goes into preparing the meals. It was easy to understand why the food tasted so incredible in the dining room. 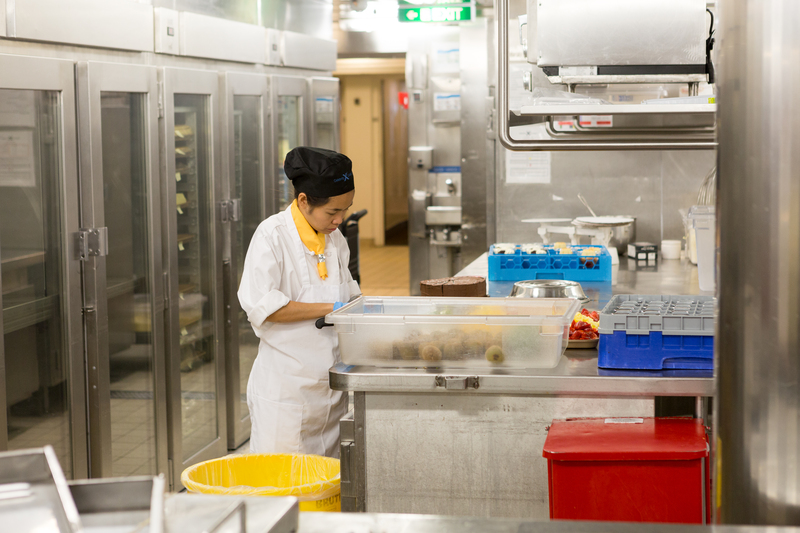 Took a tour of one of the ship’s kitchens. An amazing set up. Working hard preparing desserts for the day. 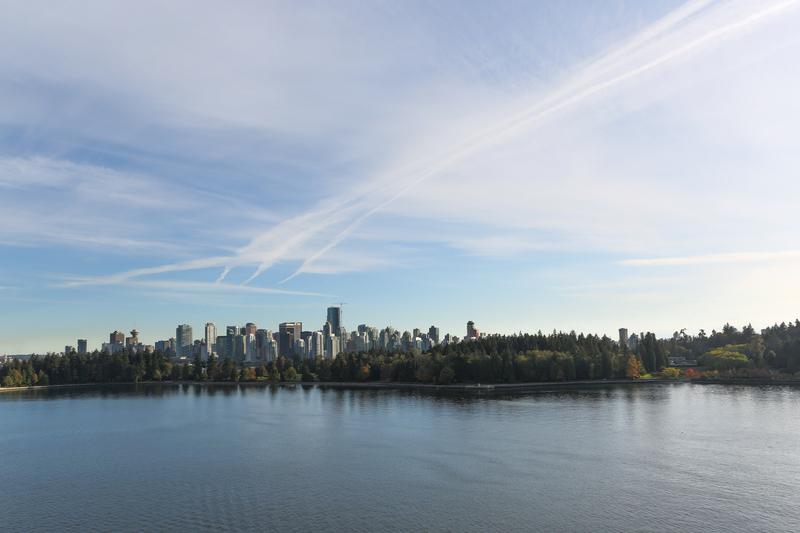 Our cruise entailed five sea days once we departed Vancouver. For me, this is the best part of the cruise. I enjoy being able to relax and enjoy whatever activity I choose, without having to worry about a schedule. The first two days were a bit dreary and rainy but that cleared up by day three and it was beautiful seas and skies for the remaining days at sea. 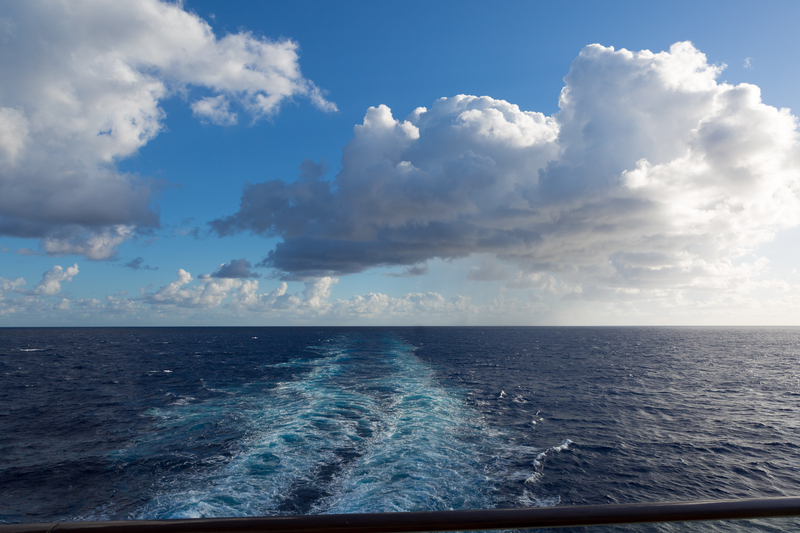 After a couple of cloudy days this was the standard view each morning from our stateroom. Time was spent reading, playing cards, or bocce ball with family. 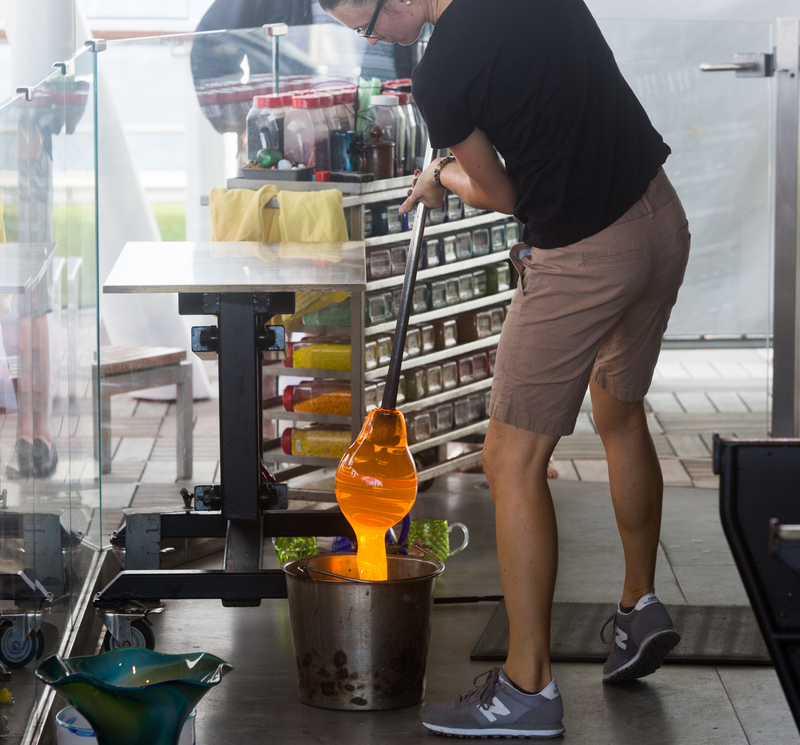 As well as the previously mentioned talks on food there were also daily demonstrations on glass blowing which were very entertaining and educational. 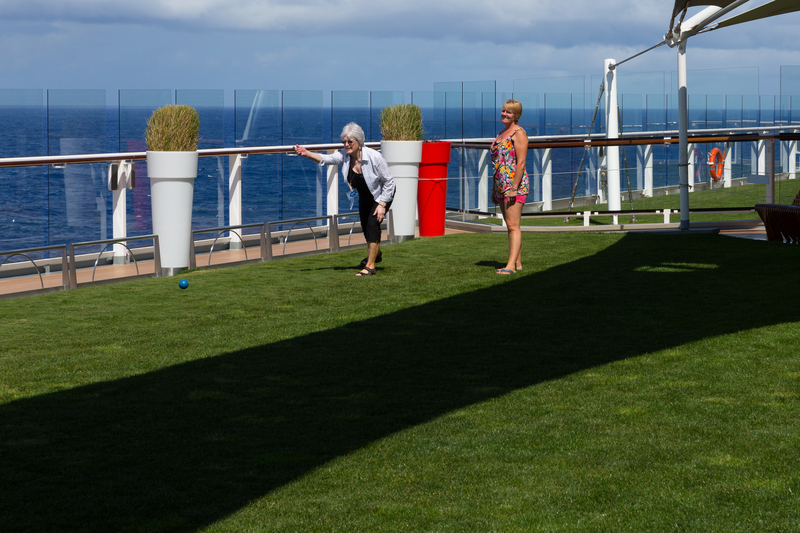 Enjoying some bocce ball on the grass on deck 14. Incredible really. A view of the Central Foyer. A wonderful place to relax and listen to some live music. 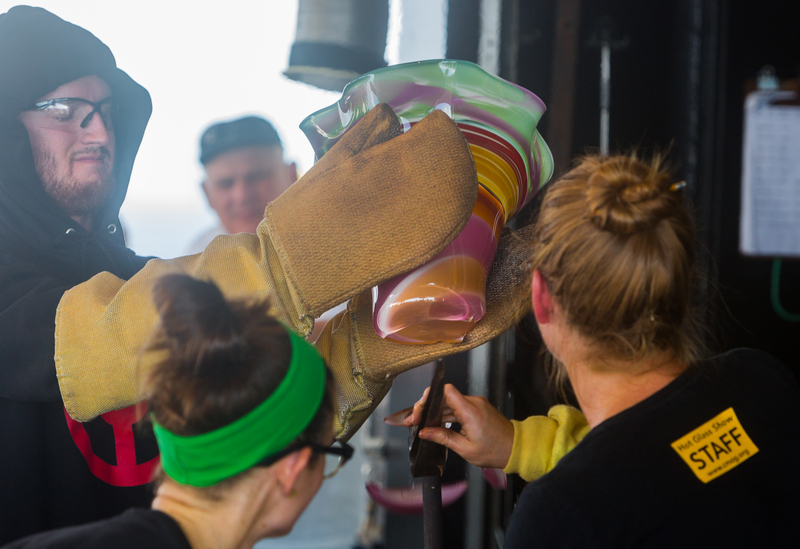 The glass blowing demo was put on by a trio of talented artists who delivered and great show. The passion and care they put into their creations is wonderful to observe. As well, it is truly brought to light when things do not go according to plan as in the day we watched. 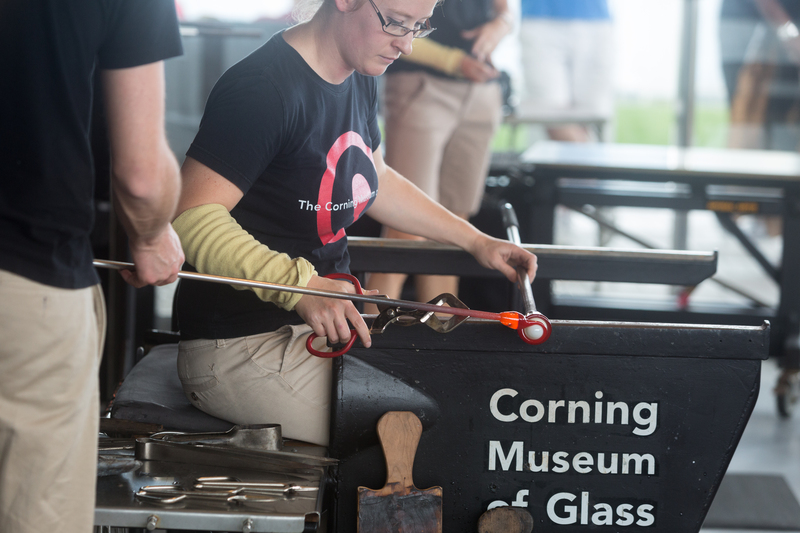 A great presentation on glass blowing. Very entertaining. 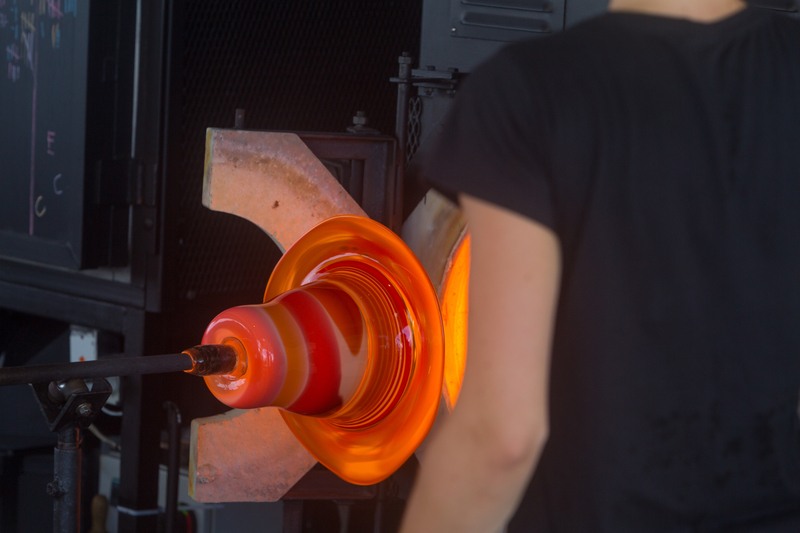 Very neat watching this lady manipulating 15lbs of molten glass on the end of the stick. The work in progress coming out of the furnace. Sometimes things don’t turn out the way you plan them. This was the moment when the bottom of the vase broke just as they were finishing. 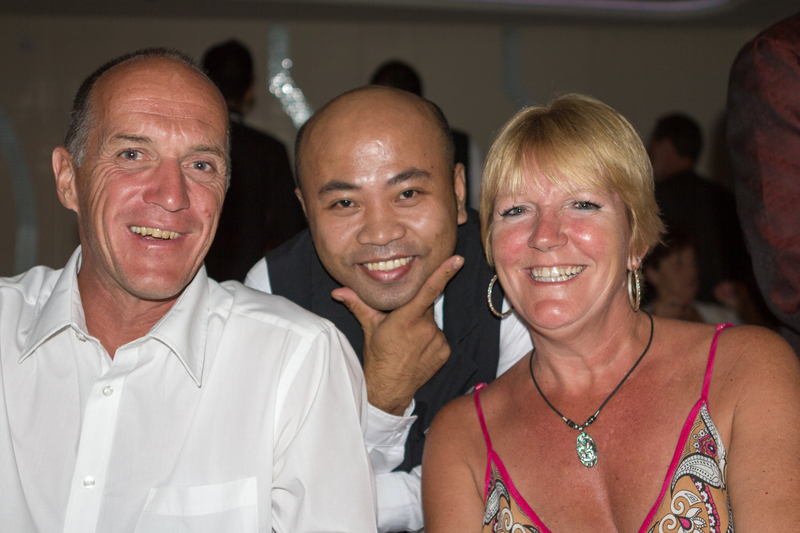 In the end, the most enjoyable part of the cruise was interacting with people on the cruise. Whether the staff or other cruisers from countries around the world. A high point of every dinner was interacting with our waiter Rodulfo. A quality individual with a great sense of humour. More on the Hawaiian portion of the cruise to follow.